I don’t know why I haven’t made carrot salad more considering how often it comes in the veg box and that they are almost always available in your local corner shop. There is a very simple recipe in Jane Grigson’s Vegetable Book and it’s lovely. Take 1lb of carrots, grate them, add 4 tbsp’s of extra virgin olive oil, 1 tbsp of lemon juice, 2 tbsp’s flat leaf parsley (or chervil), mix and leave to chill for a while . Add salt and pinch of sugar to taste (though I didn’t) and hoof it down you. Lovely. We’re still getting our vegetable box delivered each week but somewhere over the Christmas holidays someone in the house (probably me) bought a 10kg bag of potatoes that has lead to a back log of spuds that need eaten. I am trying to redeem my relationship with potatoes which means learning to appreciate the hassle of having to wash or peel them and empty them into the compost heap and finding recipes that are a bit more exciting that boiling them or don’t involve adding buckets of butter. Also recipes that don’t involve using an oven to bake them would be good as that adds extra carbon to the air. So I gave this recipe for potato and garlic cake, (La Crique) a go and it was tasty in my opinion. Basically grate 1kg of peeled potatoes. Beat two eggs with pepper, salt and a garlic clove bashed with some salt. Mix them all together (I took the clove out as I don’t like discovering a lump of garlic when I don’t expect it). Heat a frying pan, add 4tbsp of olive oil, spread the mixture over and gently cook for 15mins shaking every so often to stop it sticking. The recipe is in my favourite cook book, European Peasant Cookery by Elizabeth Luard. use only one hand for kneading..
I’m not sure why that line attracts me to the book, but it seems almost joyful to me. Of course you need to keep the hand free to answer the phone, life is still going on when you make a loaf of bread, you can talk to people and bake bread as well. I think that is why I enjoy my Hugh Fearnley Whats-his-face books as there is a sense of joy in his writing whereas Delia Smith seems a bit less joyful in her cookery books. 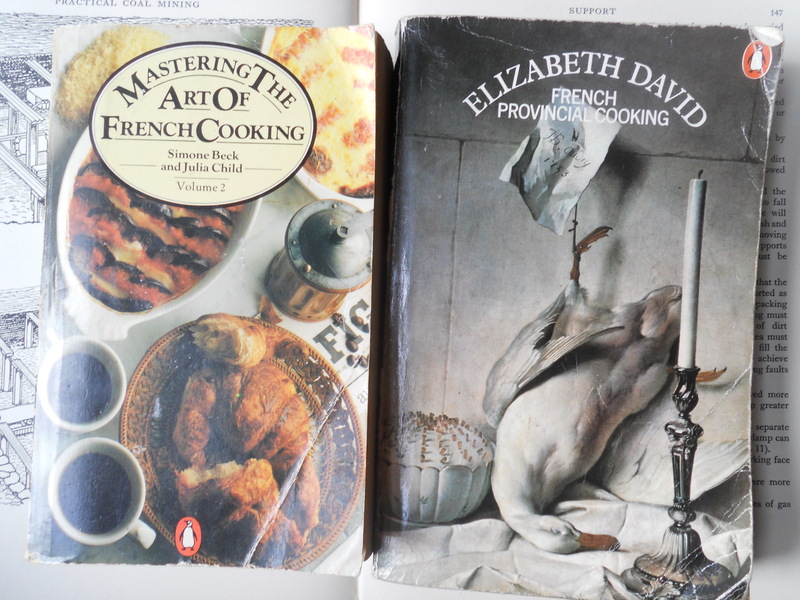 Perhaps the missing ingredient between cookery books I find useful and ones I love is a sense of joy. In a larger sense, I wish I was more joyful sometimes, or enjoyed things a bit more. To often I let myself whinge or moan, find fault and be cynical about life. I don’t enjoy things and let others know that I didn’t enjoy it. I need to recover a sense of enjoyment about life because it’s life affirming, things aren’t all bad out there. Author canalwaysPosted on May 6, 2013 May 6, 2013 Categories home economicsTags bread, bread making, cookery, cookingLeave a comment on use only one hand for kneading.. I am typing this and eating my dinner, a bowl of leek and potato soup with some cubes of free range, woodland reared etc etc pancetta style bacon from St George’s Market. I have rarely, if ever bought free range, organic meat before for two main reasons. 1) It is more expensive and when you’re watching the pennies those extra pounds that an organic, free range chicken would cost (and it would be pounds)are a big deterrent. 2) Sometimes there is an atmosphere middle class self righteousness when around free range, organic meat which I don’t like and puts me off. But having said all that the reason I am typing this during my dinner is that I was amazed by the difference in the grease and fat that came from my grill when I was cooking my free range, woodland reared bacon compared to what I normally would get cooking some bacon from my local Spar, or even from my butcher. First up, there was much less steam coming from the grill. Normally there would be clouds of steam coming from the grill, so much so that when you lift it up it could burn your hand. 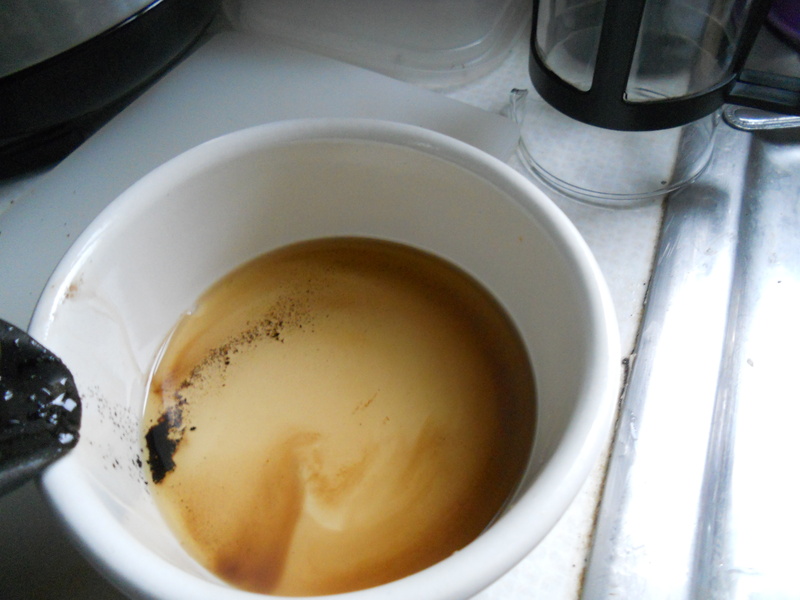 There was also much less water running into the bowl. Normally there would be a layer of dirty grease water floating on top of the bacon fat. Tonight there was a much less steam from the grill and the fat which ran seemed much clearer. I guess what I’m saying is that there was something noticeably different to the bacon I cooked tonight compared to the bacon I would cook normally. 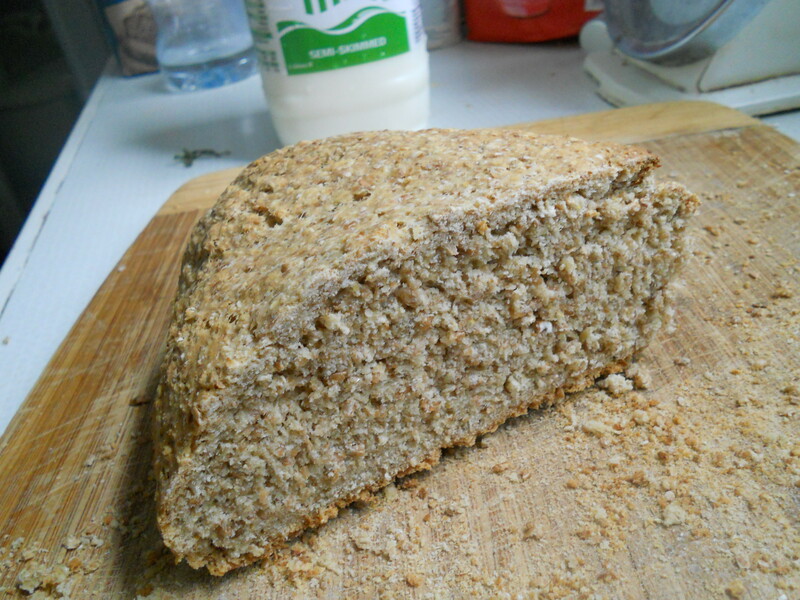 H___ was hanging out with Benedictine monks for few days so I decided to try and enter into the spirit of things and bake a monastery oat bread, four rises and 1hr’s worth of cooking later this slab appeared from the oven,a heavy and dense bread, like a nutty wheaten. It doesn’t taste bad but I probably wouldn’t bake it again. Unless I ended up in a monastery or something. 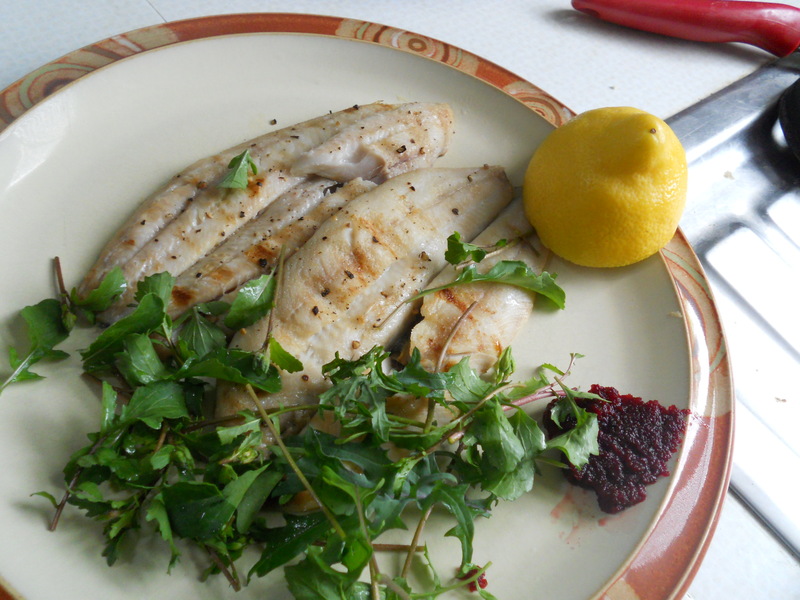 I think I might like herring more than mackerel (though mackerel is very good as well), just grill for a few minutes with a bit of salt and pepper, grab some salad leaves from the window box and a add a bit of beetroot ‘jam’ that you mistook for pickled beetroot in the Polish shop. Add a lemon for colour (well, no need to add a whole lemon or even half a lemon as above) eat and enjoy. Onion skirlie would have been perfect as well if you had remembered to make it. Technology does many things, but one thing that it doesn’t do (yet?) is appeal to our sense of smell. Smell is surely the most neglected of the senses, or it is in this house at any rate. 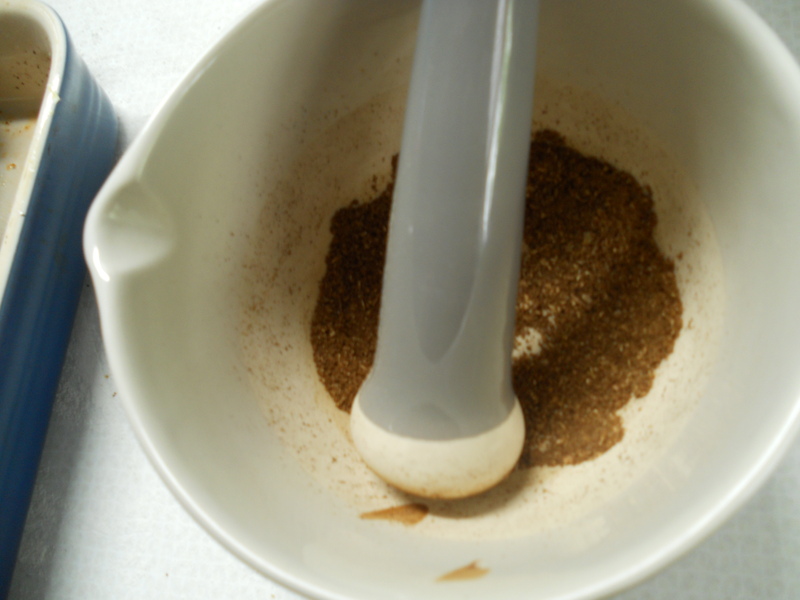 So if needs arise grind and bash some toasted coriander and cumin seeds, or a few cardamon pods and smell. You’re life won’t turn around but it might be enough to make you pause even for a second.